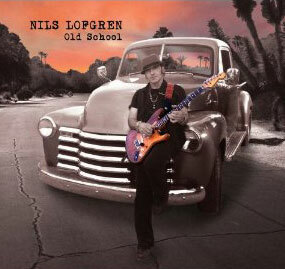 The 2011 new release from Nils, Old School features 12 tracks ranging from rough, raw blues dobros and searing electric guitars to beautiful acoustic tracks. Eleven Nils originals, including "Miss You Ray" (which Nils performed as "Miss You C" following Clarence's death) plus "Irish Angel," a beautiful ballad written by Bruce McCabe that Nils has also been performing live. Featuring guest vocals from big guns: Paul Rodgers, Lou Gramm and Sam Moore.